Ever heard comments like these? 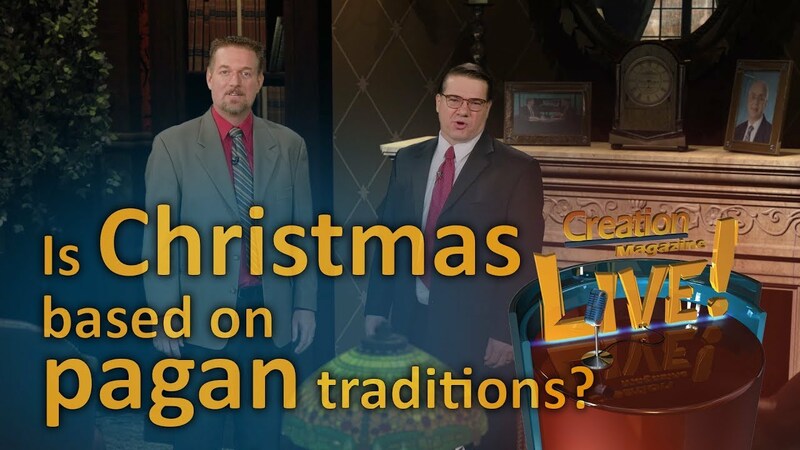 Skeptics often bring up these challenges to Scriptural authority during the holiday season. Know how to answer them? This book is a comprehensive—yet warm and evangelistic—presentation of the practical evidences of the infallibility of the Bible and the truth of Christianity. Has won many to Christ. Christmas traditions include a lot more than family get-togethers, presents and decorations. Every year, the holiday season brings out articles and an occasional book attacking the historical accuracy of Christ’s birth. All of these questions have one thing in common—their answers require knowledge of real history! It’s impossible to answer the critics fully without knowing something about the life and times of Jesus Christ, the Savior. Now, this doesn’t mean we have to be a historian to defend our faith. (And there are miraculous events in the Christmas story that are beyond natural explanation—especially the Virginal Conception — that must be taken by faith.) But Christmas is a good time to read up on the historical background to ‘the greatest story ever told.’ The process is not some dry duty to be dreaded, but it’s a real joy, enriching our wonder at what God did for mankind! The details are simply fascinating, from Genesis to Revelation. A good place to go for answers is this Web site. For instance, the article The Virginal Conception of Christ by Dr Jonathan Sarfati thoroughly refutes sceptical objections to miracles, the census, alleged contradictions and intentional omissions in the genealogies, the alleged silence of Paul and two of the Gospels, and the supposed pagan derivation. Other helpful articles are found under Q&A: Jesus Christ and in the book Many Infallible Proofs by Dr Henry Morris [above right]. There are real answers to attacks made on the authority of God’s Word, whether Adam’s Fall, Noah’s Flood or Christ’s birth! It’s important that Christians, young and old, understand how to defend their faith. The same type of tactics used to undermine the historical accuracy of the Six-Day Creation and Noah’s Flood are used to attack the life of Christ and the hope of the Gospel. It’s not only a duty (I Peter 3:15), but a privilege and a joy, for ‘soldiers of Christ’ to learn more about the Master they serve—including the history, geology, and astronomy that support His Word from the very first verse—and to arm themselves for the fight against the Enemy!